Handwritten Letter द्वारा Laura. 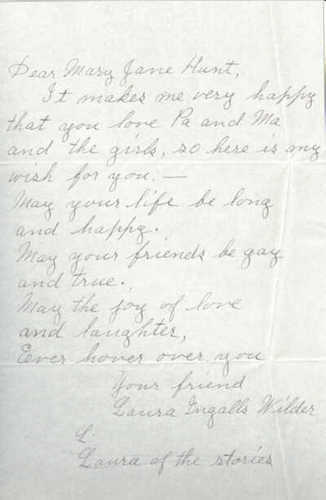 Letter Laura wrote to a प्रशंसक. Wallpaper and background images in the लौरा इंग़ेल्स वाइल्डर club tagged: laura ingalls wilder laura letter fan.